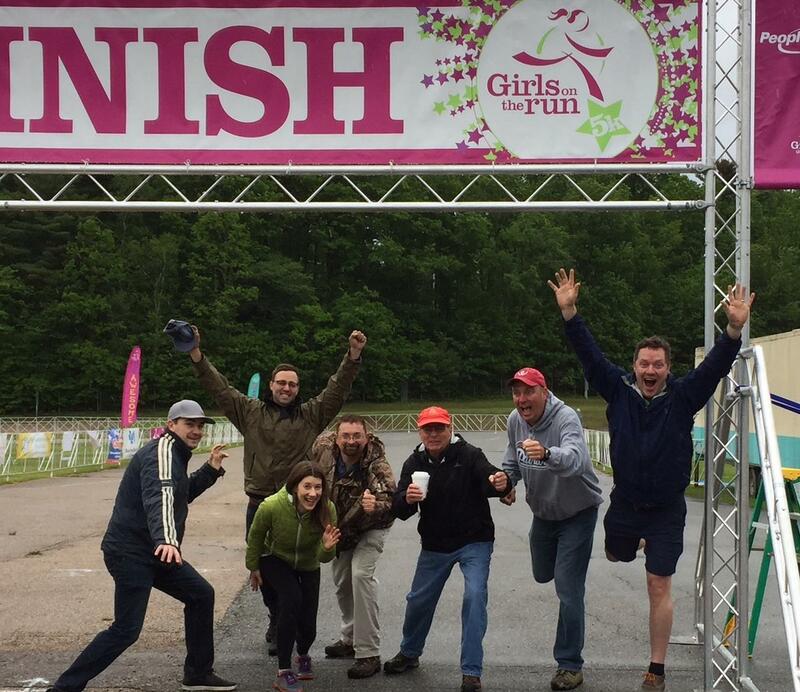 The Rotarians joined the Girls on The Run Vermont leadership staff, which include Events Director Sally Malay and Executive Director Nancy Heydinger, to set up event booths, water tables, merchandise tents, trash facilities and pretty darn good looking start and finish lines. 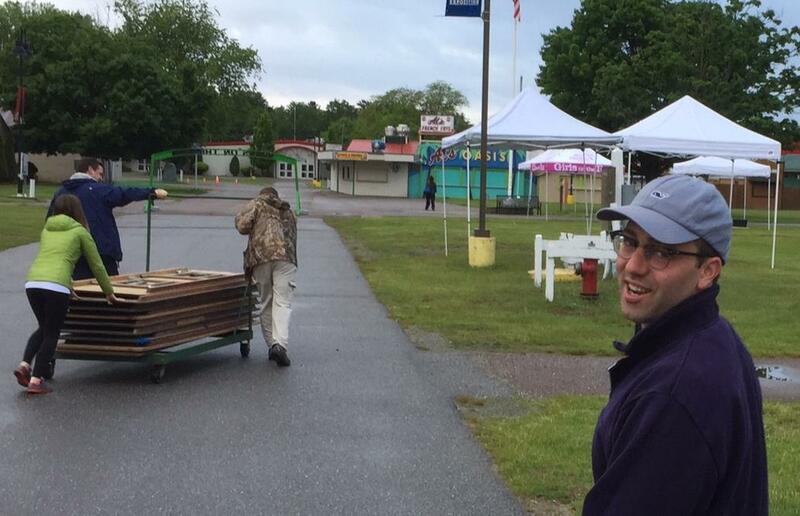 The event was hosted at the Champlain Valley Expo Center in Essex Junction and sponsored by People's United Bank and other organizations. 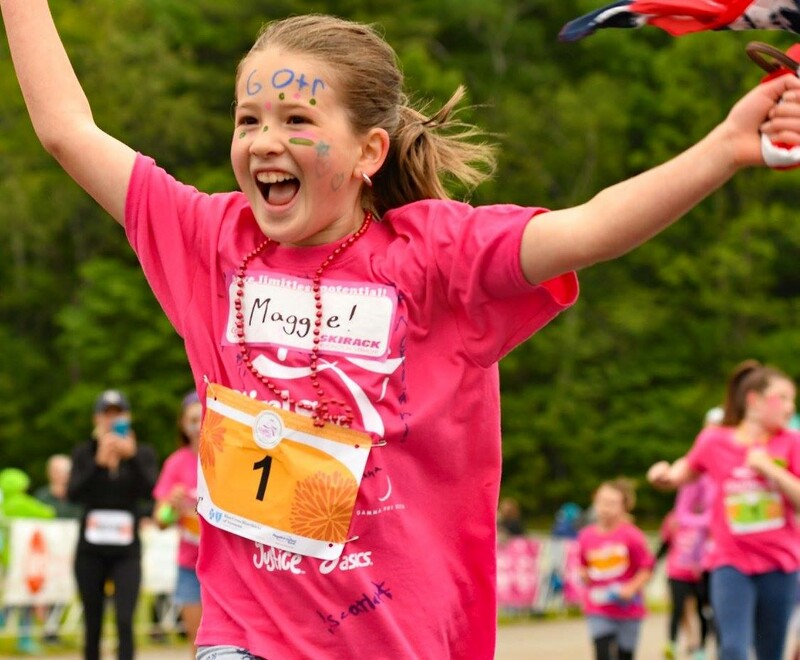 Girls on the Run is a non-profit with a mission to inspire girls to be joyful, healthy, and confident. 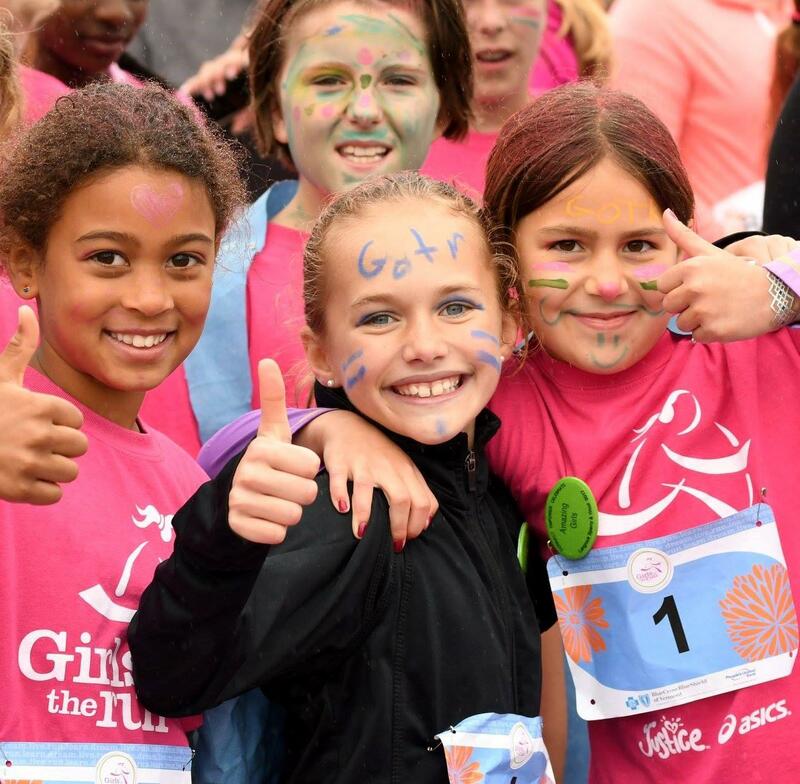 By using an interactive curriculum that creatively integrates running, we help to positively impact girls in 3rd to 8th grade. 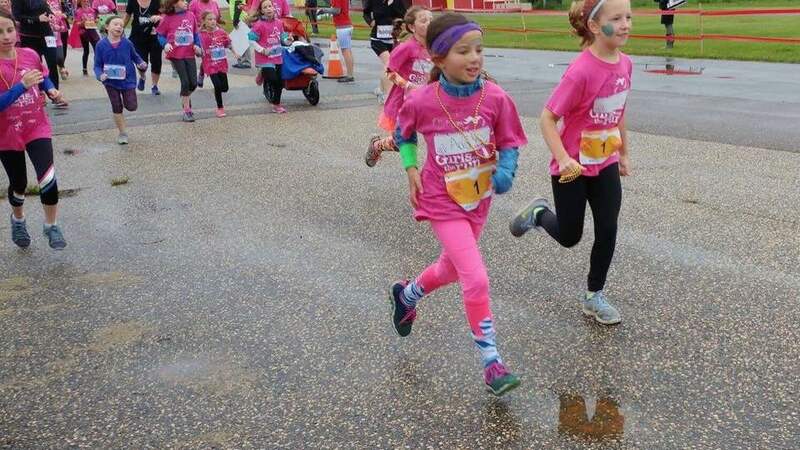 In addition to the life-long lessons learned, the 10-week program culminates with the girls being physically and emotionally prepared to complete a celebratory 5k. 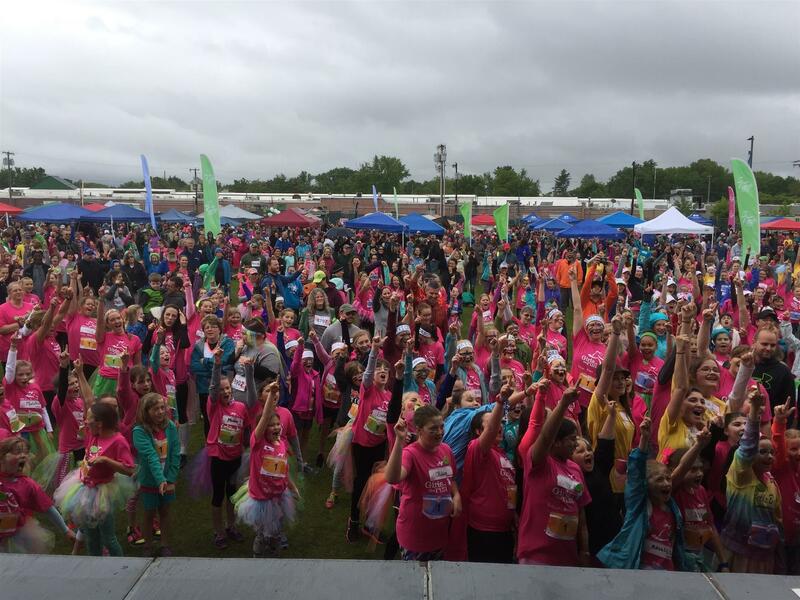 The goal of the program is to unleash confidence through accomplishment while establishing a lifetime appreciation of health, compassion, and community. 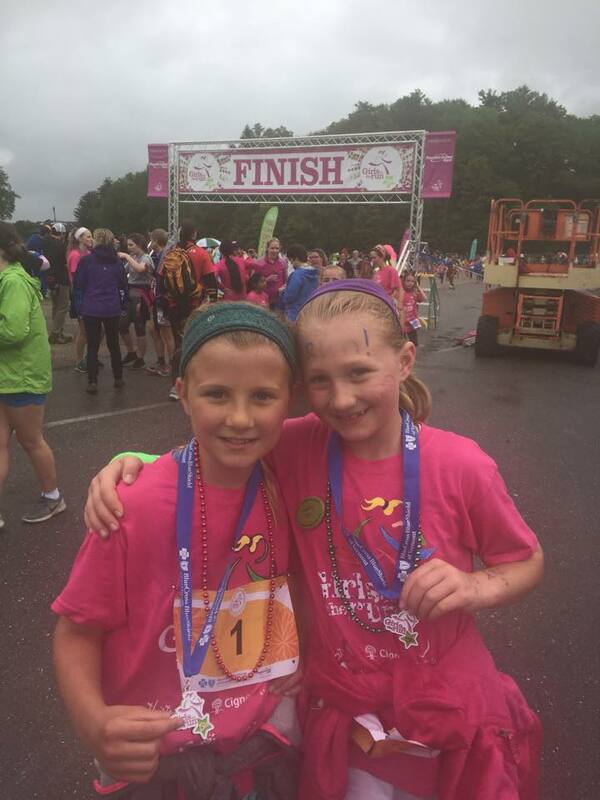 Sally, Nancy, Tom, Amy, Jess, Rachel, Jenny and the whole GotR gang have created a fantastic organization with multiple empowering events throughout Vermont. And a big THANK YOU to Eric "Flounder" Hanson (nickname subject to change) for buying the gang breakfast afterwards at The Firebird Cafe. Todd Stoilov pointing and practicing his upcoming Club President leadership skills. 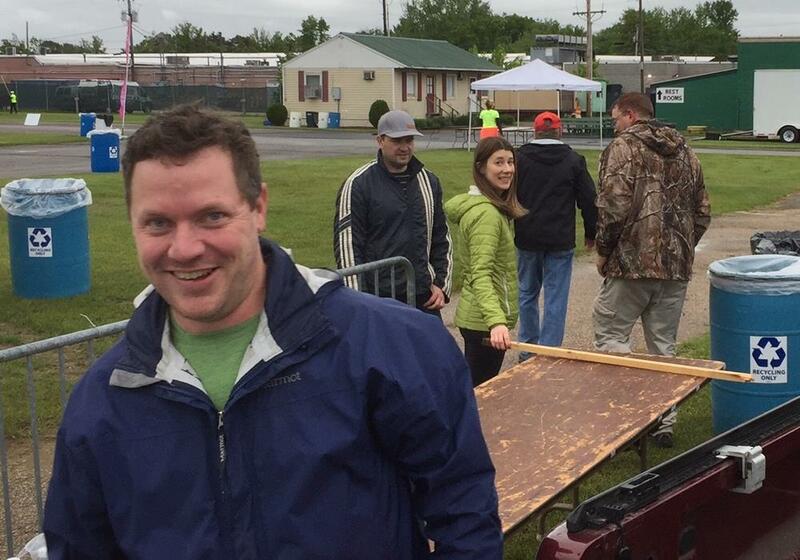 That's Ken "T-Bone" Puzey on the left, Kate McInnis in the background and Andy Duback pulling the cart. Eric Lafayette wisely allowing others to push the cart and saving energy for his Burlington Historic Home tour work later in the day. Hard to tell here, but moving multiple palettes of water bottles is hard work. Thanks, Tom, for driving the truck! 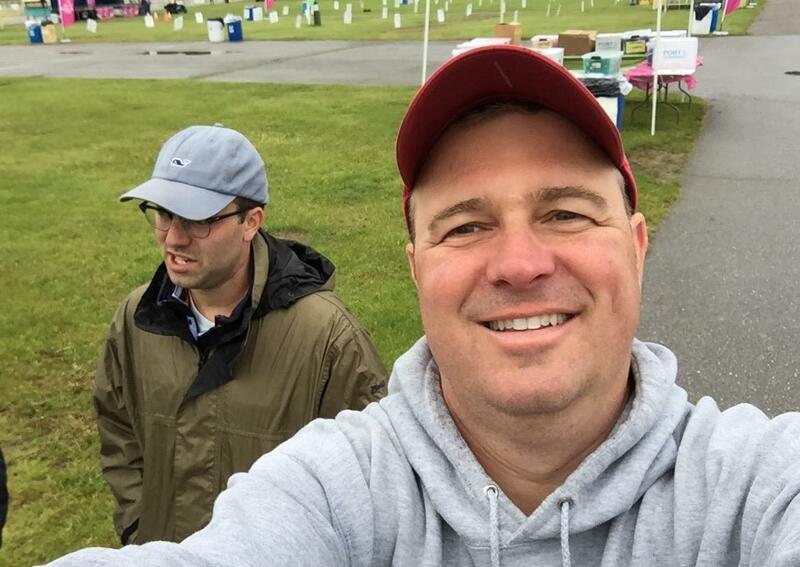 Ken "K-Train" Crites proving he was at the event, too, while Eric Lafayette looks on. 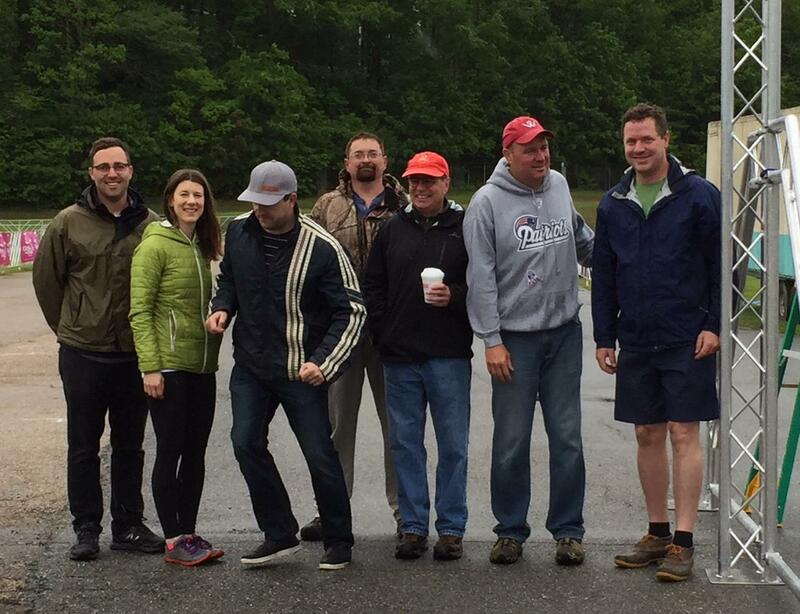 Left-to-right: Eric Lafayette, Kate McInnis, Todd Stoilov, Ken "T-Bone" Puzey, Eric "Flounder" Hanson (nickname subject to change), Ken "K-Train" Crites and Andy Duback. 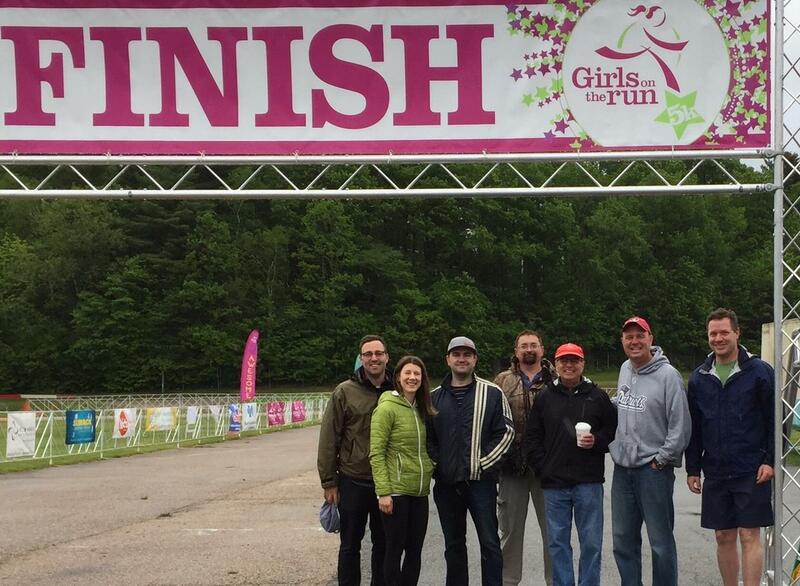 Girls on the Run Event Director Sally Malay flanked by Ken "T-Bone" Puzey and Kate McInnis.